16510 Diamond Pl, Weston, FL.| MLS# A10642434 | Susan J Penn l Best Agent l Buy & Sell South Florida Homes! 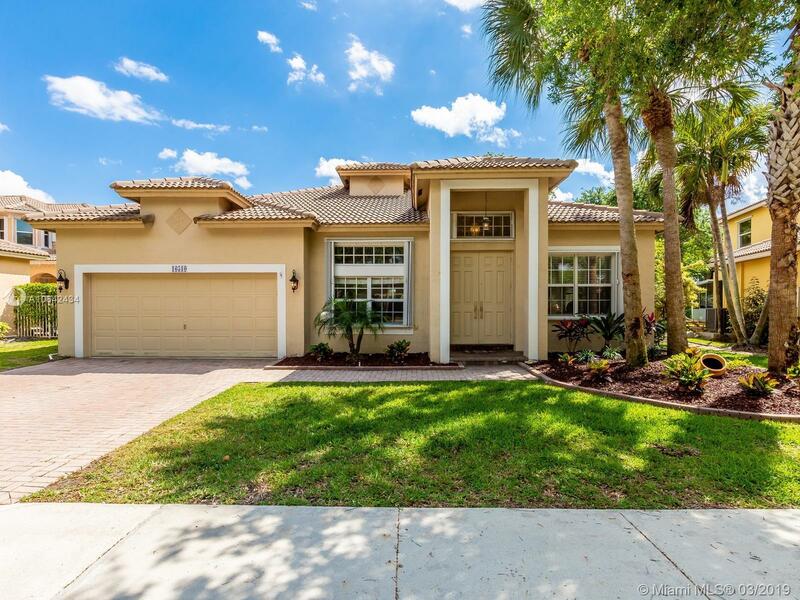 Beautiful 4/2 one-story home in Emerald Estates with screened in pool and canal front. Home shows great with remodeled kitchen with granite, wood and stainless steel appliances. Great triple split floorplan with neutral ceramic tile flooring and wood in bedrooms. Accordion hurricane shutters and newer AC unit. Nice pool area with no neighbors in back. Excellent community with exercise room, pool and landscaping incl. A+ schools and close to restaurants and shopping.